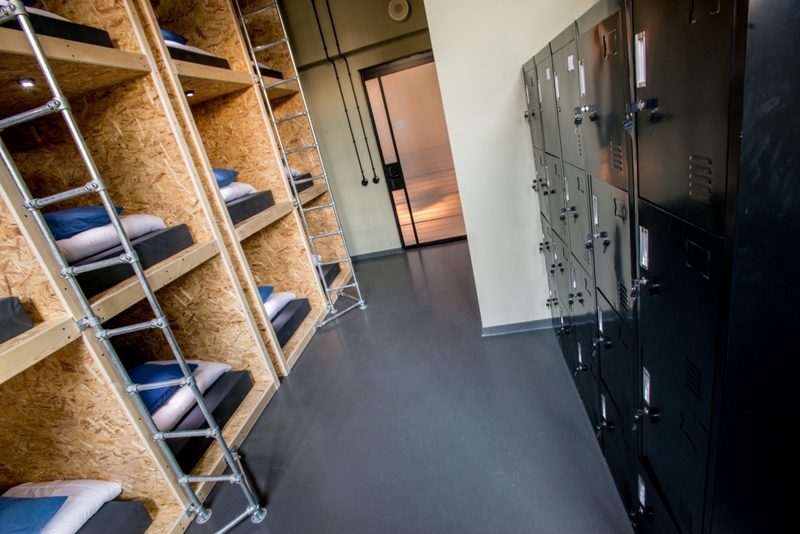 Our large dorm sleeps up to 17 people and is ideal for group bookings and for budget conscious individual travellers. 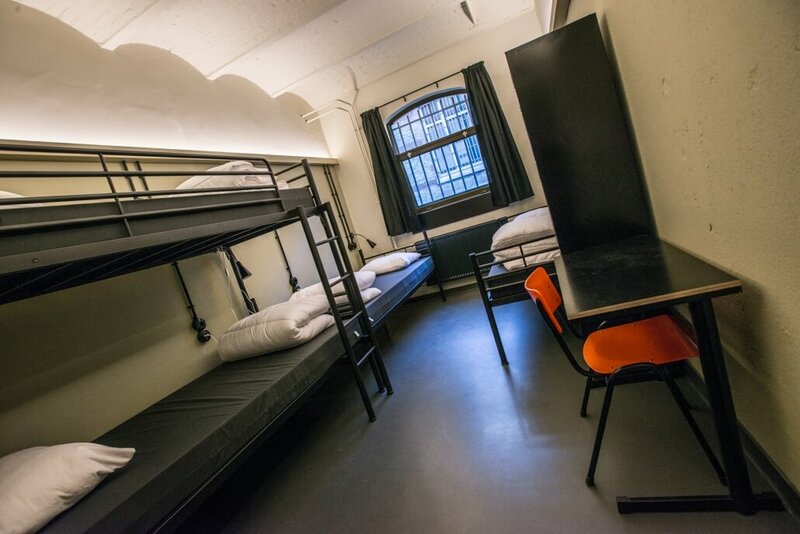 Our triple bunkbeds are divided into separate pods and can be closed off with a curtain to offer the maximum amount of privacy which makes sleeping in a dorm so much nicer. Each pod is equipped with a socket and a nightlight, so it will feel like you have your own private room in a dorm. You will find showers and lavatories in the hall. 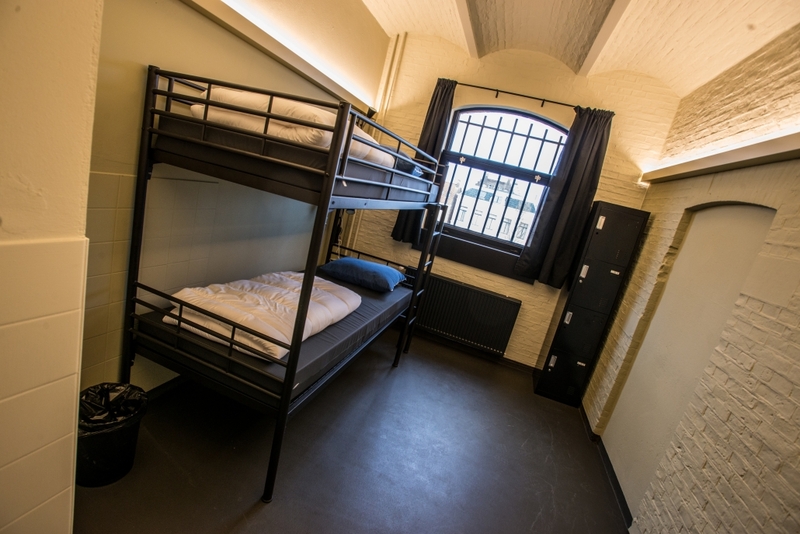 Our cells are equipped with bunkbeds. Would you rather sleep side by side or are you afraid of heights? No problem, our bunkbeds can be used as two single beds upon request. The room is equipped with a socket, a nightlight and a desk with a chair. Lavatories and showers are in the hallway. Our luxurious private double rooms are equipped with two boxsprings made up as a double bed. Upon request these beds can be separated into two single beds. 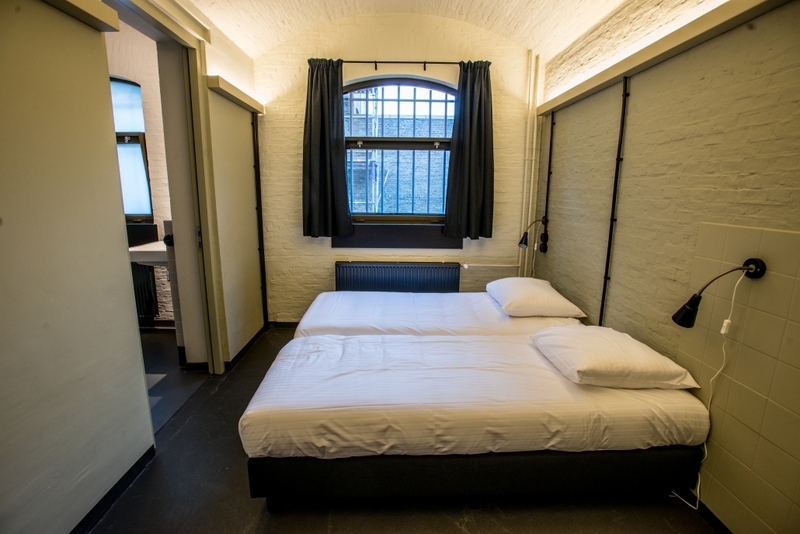 Each room has a private en-suite bathroom, sockets and nightlights next to the beds, and a desk with a chair.These rooms are the perfect affordable option for a couple visiting Leeuwarden. This room is also available as a wheelchair friendly room, please contact us about the possibilities. Our 4 persons cells are equipped with two bunkbeds. Our bunkbeds can also be used as two single beds so these rooms are very family-friendly. Upon request we also have baby cots available. The room is equipped with a socket, a nightlight and 4 lockers and it has a desk with a chair. Lavatories and showers are in the hallway opposite the room.